Samuel H Culpepper is the father of an otherwise unidentified infant born 7 Mar 1921 in Wilson Co., TX. Samuel H Culpepper is the father of an otherwise unidentified infant born 6 Jun 1922 in Wilson Co., Texas. Beryl Culpepper Haberkorn, 72, of Mt. Storm, W.Va., and San Antonio, Texas, died Sunday, Nov. 23, 2003, in Winchester. Mrs. Haberkorn was born Dec. 27, 1930, in Bandera, Texas, the daughter of Sam Houston and Radie Donoho Culpepper. She was retired as a budget analyst for the Central Intelligence Agency. She earned a bachelor’s degree from Hardin-Simmons University in Abilene, Texas. She was a member of Vienna Baptist Church in Vienna. She married Harry L. Haberkorn Jr. on Aug. 9, 1952, in Augusta. Surviving with her husband are two daughters, Kerry L. Haberkorn of McLean and Phyllis L. Harris of Winter Springs, Fla; two sons, Kyle R. Haberkorn of Sarasota, Fla., and Scott R. Haberkorn of Chino, Calif; a sister, Colleen Vivian of Ojai, Calif; a brother, J.D. Culpepper of Katy, Texas; and five grandchildren. The Winchester Star, Winchester, Virginia. Obituary of Beryl C. Haberkorn, published 27 Nov 2003. E-mail written Apr 2006 to Warren Culpepper from Phyllis Louise Haberkorn Harris (d/o #34751), e-mail address. Frank Culpepper, 6/12, born-Dec, TX. Mattie Culpepper, F, 7/12 (Nov), Dau, S, TX GA TN. Lavaca Co., TX: Ella Culpepper and James Ragland, 21 Feb 1894, Book IV, p. 59. 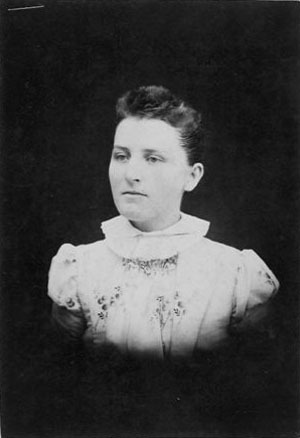 Mabel L. Culpepper, Daughter, F, Feb-1896, 4, S, TX TX TX. Frankie Culpepper, Daughter, F, 9, S, TX TX GA.
Frank O. Culpepper, died 11 Apr 1911 in Dallas Co., TX, 7838. Frank O. Culpepper, 24 Sep 1868 – 11 Apr 1911, Husband of Bernice, marker "NPL." E-mail written Oct 2007 to Lew Griffin from Nancy Miller, e-mail address. J. O. Jr. LeBeau, G-Son, M, 1, S, TX TX TX. Bernice Culpepper, Mo-in-Law, F, 54, WD, TX GA GA.
M Bernice Culpepper, Female, Widowed, died 19 Feb 1967 in Wood Co., TX. Bernice Pate Culpepper, 31 May 1875 – 19 Feb 1967, Footstone marker "Mother." A. Q. Culpepper, 24 Sep 1869 - 11 Apr 1957. Lavaca Co., TX: Abe Culpepper and Bell Sandell, 13 Jan 1898, Book V, p. 169. W. H. "Harry" Culpepper, 4 Dec 1898 - 15 Oct 1958. Alice Cadell, Sister-in-law, F, Jun-1871, 28, S, KY KY KY, Servant. Rachel Caudel, Mother-in-law, F, 68, Wid, VA US US. Rachel Caudell, Mother-in-law, F, 77, WD, VA NC NC. Abraham Culpepper, Head, M, 60, WD, md@n/a, TX MS TN, Retail Merch-Gro, Vet=N. Lavaca Co., TX: Leah Culpepper and Rufus Baucom, 25 Oct 1899, Book IV, p. 372. Bosque County Historical Commission, Bosque County: Land and People, , 1985. John M. Baucom, G-Son, M, 11/12, S, TX TN TX. Mattie Culpepper, Daughter, F, Nov-1879, 20, S, TX GA TN. Lavaca Co., TX: Wade Culpepper and Vannie Higgins, 6 Jan 1902, Book VI, p. 49. W. R. Culpepper Jr., was born 31 Mar 1903 in Lavaca Co., Texas. Wade Culpepper is the father of an infant born 31 (sic) Sep 1904 in Lavaca Co., Texas. Infant Culpepper, Daughter, F, 6/12, S, TX TX GA.
Wade Hampton Culpepper, Sinton, San Patricio Co., Texas, 42, born 16 Dec 1875, White, Farmer for self at Sinton, San Patricio Co., Texas; Nearest relative: Mrs. Vannie C. Culpepper, Sinton, San Patricio Co., Texas. Medium height, Medium build, Blue eyes, Brown hair, no disabilities. Registered 12 Sep 1918, San Patricio Co., TX. Vannie Lee Culpepper, Dau, F, 10, S, TX TX GA.
Vannie Culpepper, Dau, F, 20, TX TX GA, Teacher-Pub School. Wade Hampton Culpepper died 4 Aug 1944 in San Jacinto Co., TX. Wade H Culpepper is the father of an infant born 19 Aug 1907 in Bosque Co., Texas. Vannie C Culpepper, died 17 Feb 1958 in Bexar Co., TX. Ella Ethel Culpepper and J O Lebeau are the parents of Frank Lebeau, Male, born __ 1929 in Dallas Co., Texas. Mabel Culpepper Patterson, 28 Feb 1897 – 23 Mar 1989, Footstone marker "Sister." Frankie Culpepper Goerges, 8 Jan 1901 – 26 Jun 1996. Martin A. Goerges, 15 May 1908 – 25 Mar 1990 (Born Dresden, Germany, died Dallas, TX).